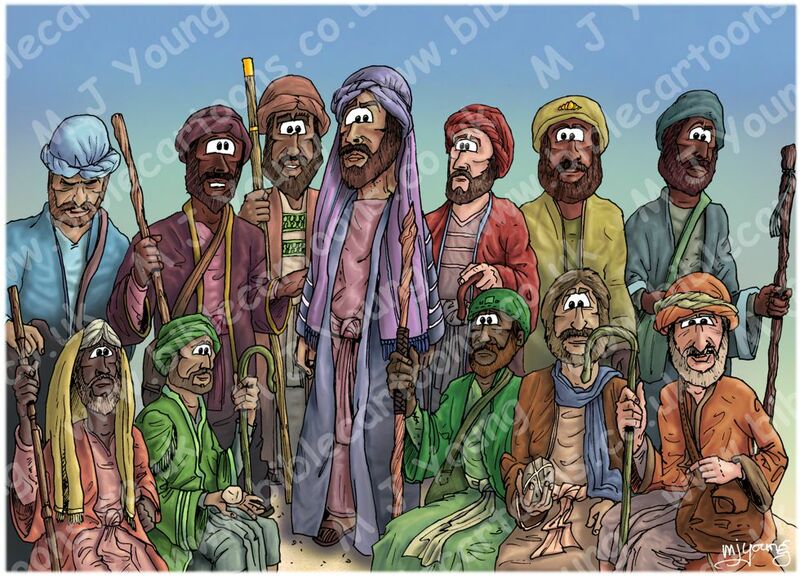 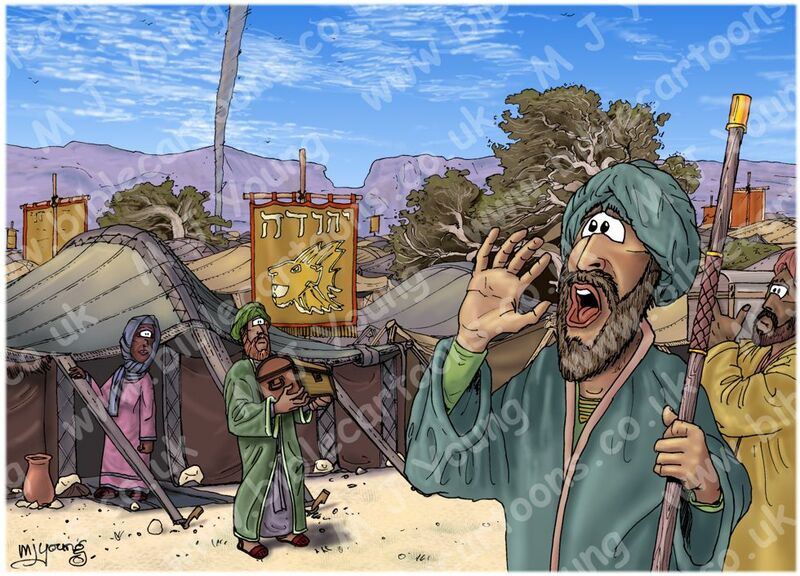 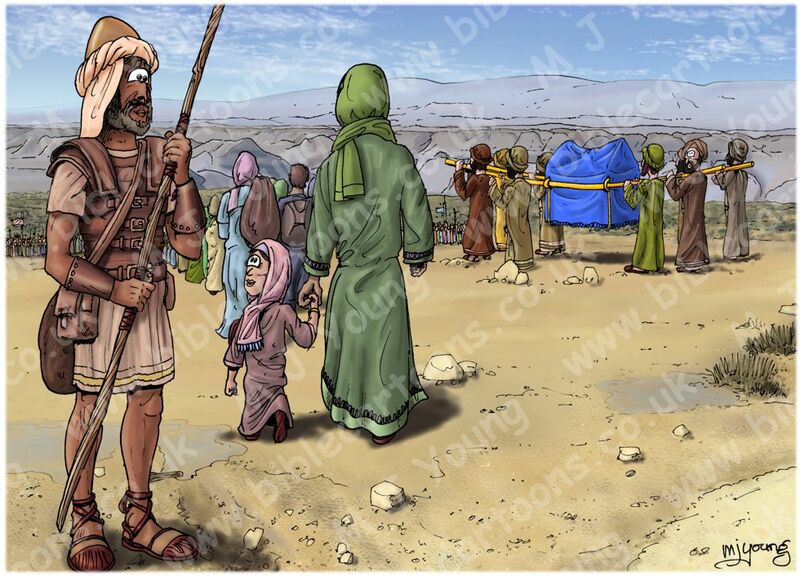 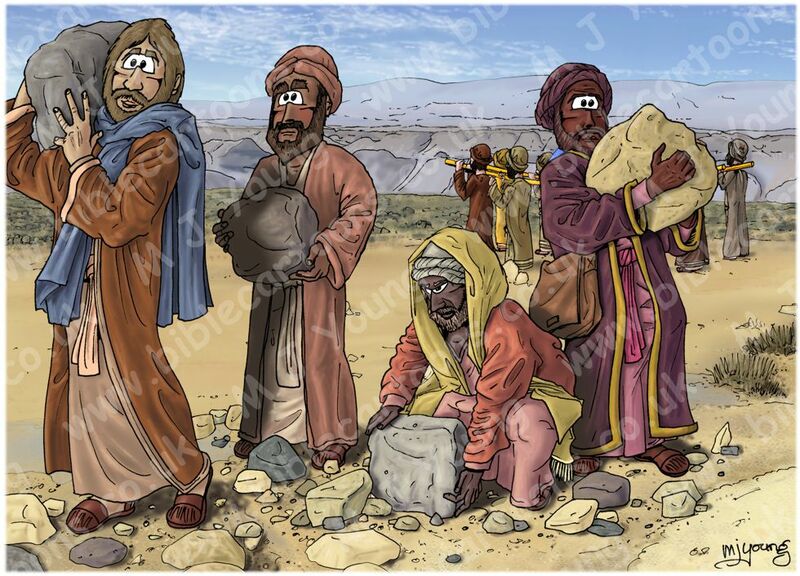 I’ve finished 5 of the 10 Bible Cartoons I have planned to tell the amazing story of the Hebrew crossing into the Promised land. 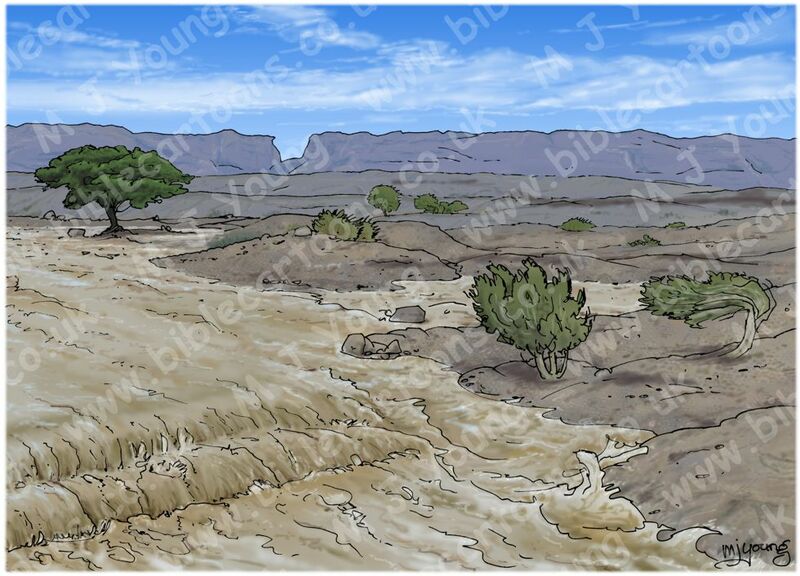 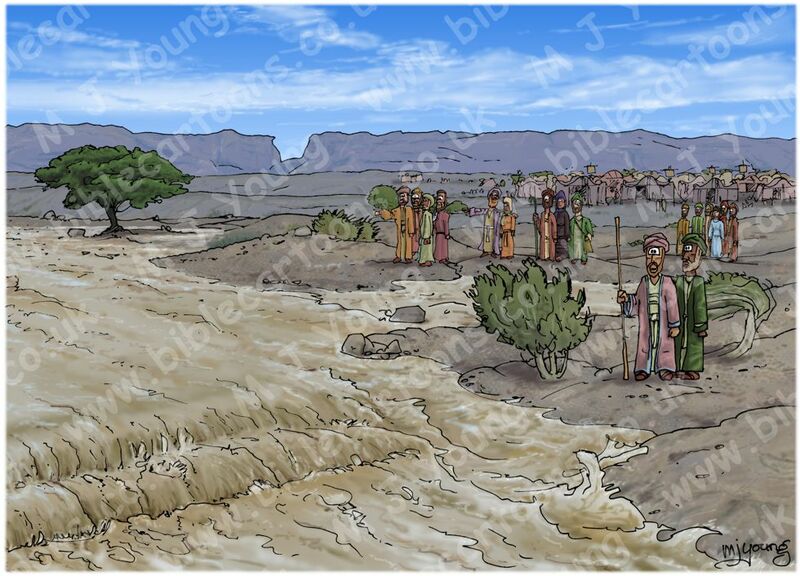 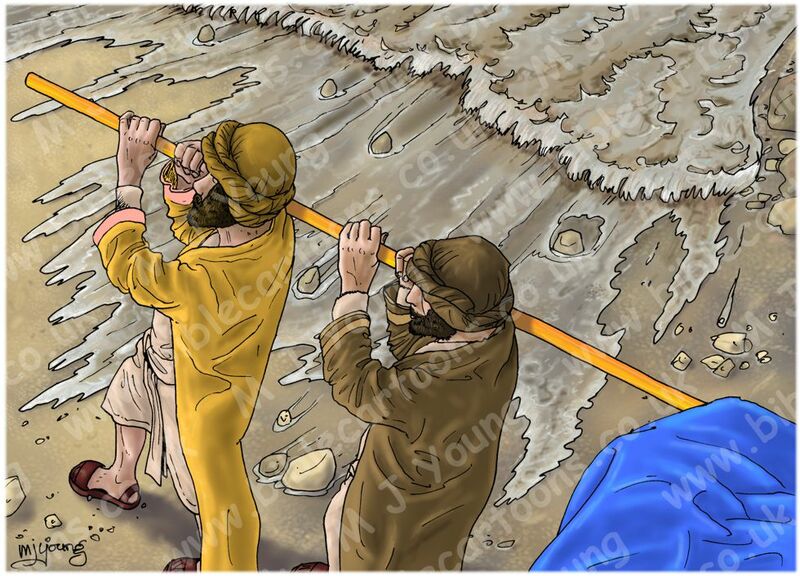 The scenes show the Hebrew’s approaching the swollen & dangerous river Jordan, but then God’s amazing intervention on their behalf, as He divides the waters so that they can cross into the promised land on dry ground. 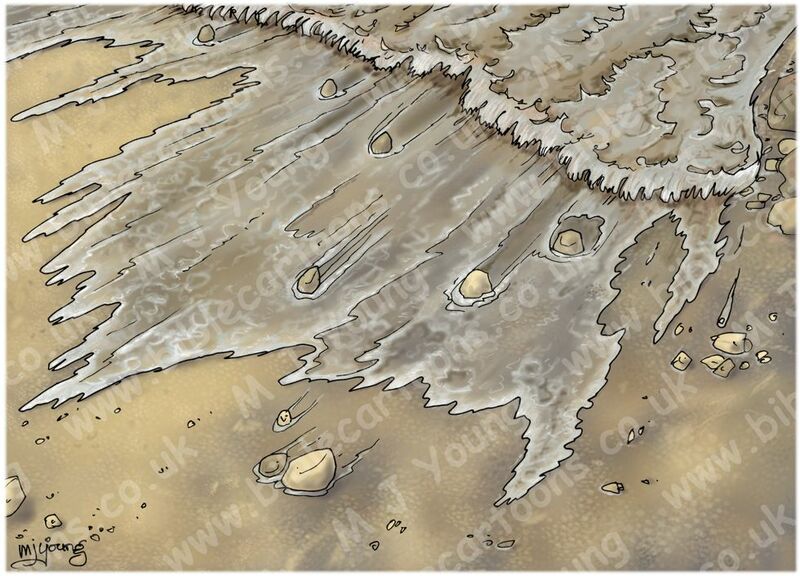 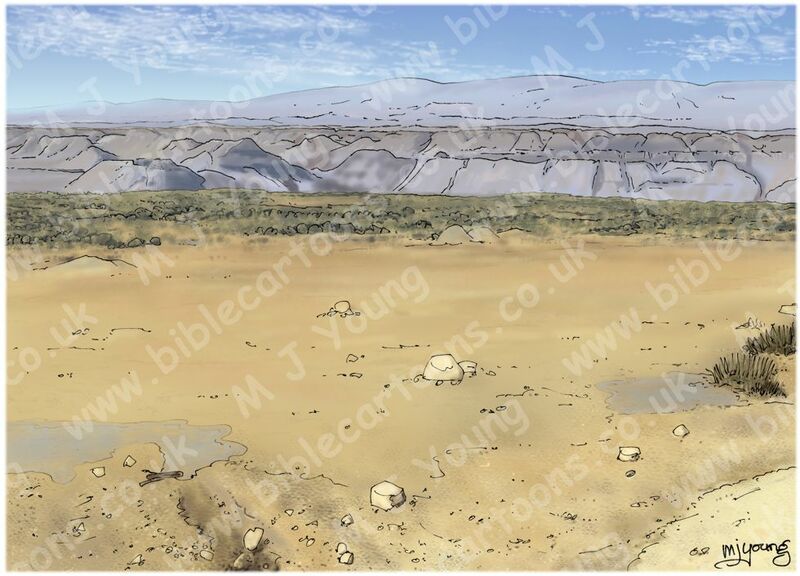 I have also included three of these scenes without the figures, so that you can see the background scenery more clearly.